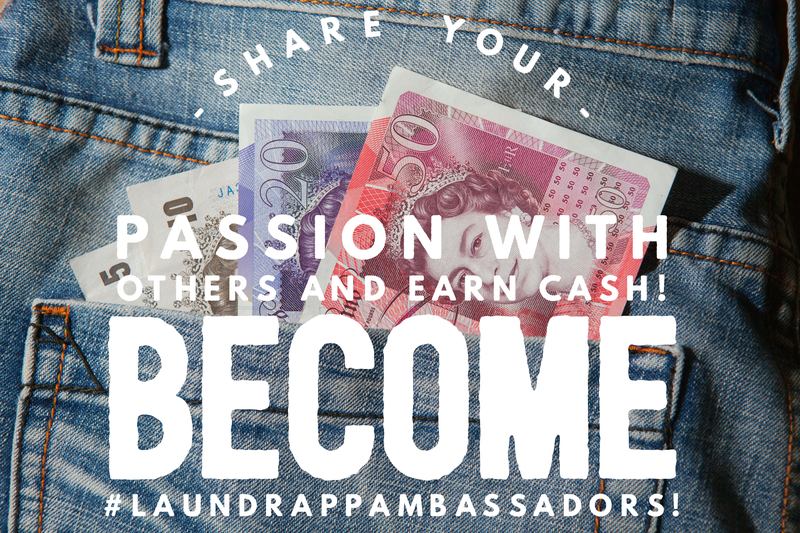 Earn quick cash as a Laundrapp Ambassador! We’re recruiting across the country to promote our on-demand laundry and dry cleaning services. All you need to do is promote us locally, whether it be in a university, community centre or workplace. Fill in the form below! 1. Send us at least ten photos of your Laundrapp posters hung in public areas. 2. Send us at least five selfies promoting Laundrapp to different groups of six people; friends, famous places – bonus points for celebs. ? 3. Promote Laundrapp with two original posts per week (for a month) on two social media platforms. We’ll provide material, including online and offline media, as well as aid each ambassador in reaching the highest number of referrals possible. You’ll be paid £100 once the initial set of three promotional requirements are completed. You’ll then be eligible to make an additional £10 each time your unique referral code is used! Your referral code can be used by anyone, and each time a new customer uses your code to place their first order, you will earn £10. This is unlimited and paid directly to your bank account on a monthly basis.
? Tips to boost your referrals ? – Communal areas, staff/student/community info boards, student union bars – give your posters the best chances to be seen. – Online forums, WhatsApp groups, Slack chats, Twitter, Facebook, Instagram – go digital. Spread the word at the tap of a button. – Go a step further! Flyering underneath doors and through letterboxes, or even spreading the Laundrapp love in your local laundrette. To start the process, just fill in the form below. Don’t forget – we only choose one person per locality, SO ACT FAST, and pay particular attention to the ‘Why would you make a great Laundrapp Ambassador?’ section, selling yourself as much as possible. Good luck!